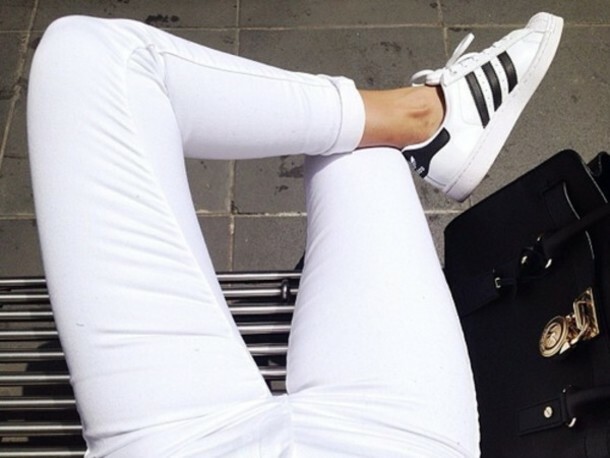 Leggings are the new trousers for women. Women pair them up with kurtis, tops, denim jackets, boots, skirts and what not! Leggings these days are not only worn as casual wear but also as workout clothes since they are very comfortable, fitted and stretchable as well. 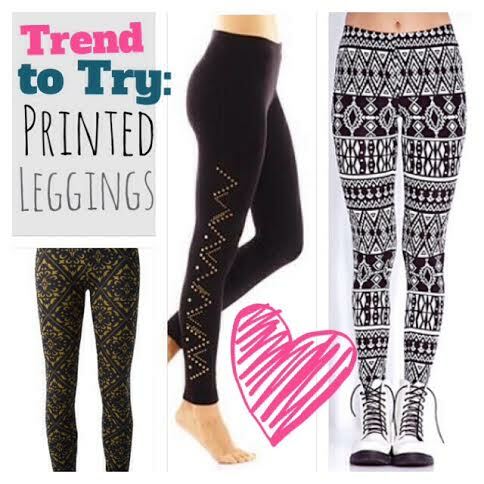 Leggings are worn in place of pants and jeans as well, and they are trending more then any other bottom wear. Therefore, we decided to come up with our new article on leggings, and this article aims to give you a detailed guide on leggings. Ankle-length leggings are now worn in place of jeans as they are more comfortable and make your leggings much more slimmer. It’s best of wear them in winters (ankle-length leggings made of woolen fabric) with ankle length boots instead of wearing jeans because you don’t have to tuck it inside your boots. Women with short legs and/or broader hip region should definitely go for these as they give the illusion of long and slim legs; especially when paired up with heels. 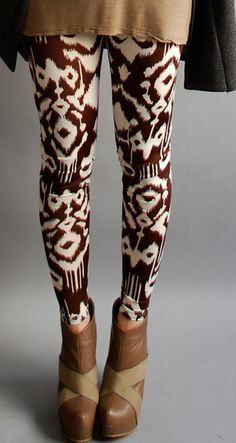 Mid-Calf Length leggings are usually worn with kurtis, long tops and skirts. Footed leggings are a lot similar to tights but the fabric is slightly thicker. They don’t have any opening at the end and they cover the feet also. Hence, the name. They can be paired up with shorts and skirts and even worn under dresses. These leggings were originally worn by horse-riders to make sure that the leggings stay in their place while they ride their horses and don’t come up or above the boots. It also became a sportswear for women who wore them while horse-riding and skiing. Later, it came in fashion and in the 1980s came under street fashion. Now, they are peaking in popularity for women who wear them as casual wear, sports wear and for running. 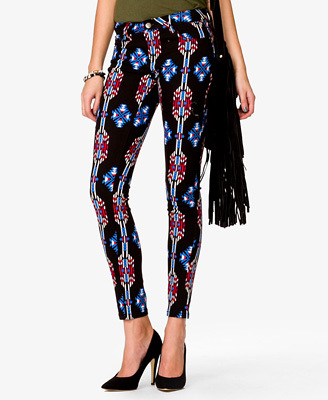 These leggings have cuts in them and are a must have if you are into fashion. They look attractive and trendy. These can be worn as casual wear and as party wear as well. I’d say you go for black, grey or navy blue colors. 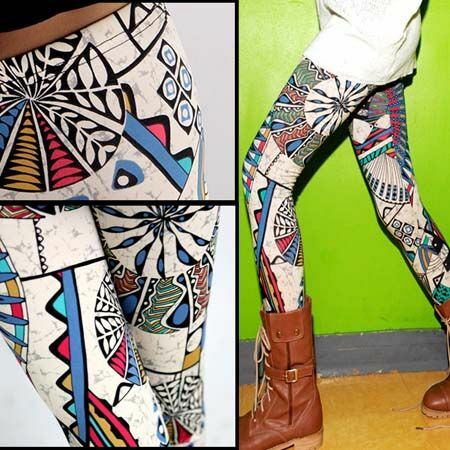 These leggings are not rugged but they have printed ones with prints of being rugged. If you don’t want to reveal your skin or those un-waxed hair, you can go for these. Yay or Nay? Definitely Yay! 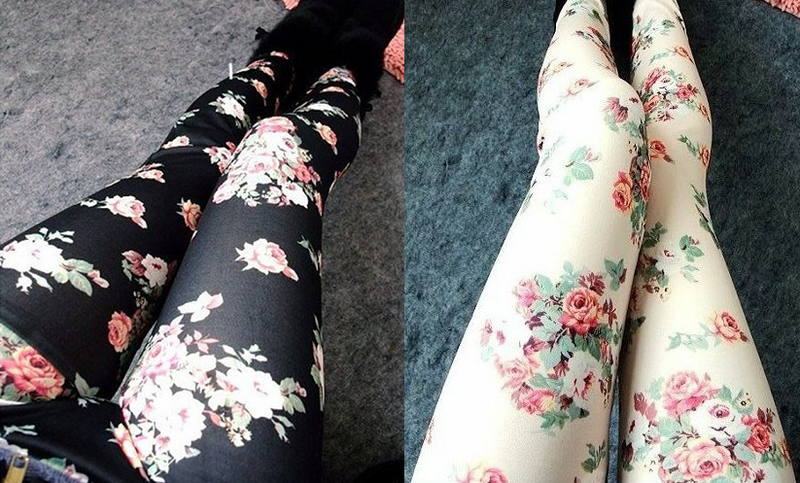 These leggings have even replaced jeans in some girl’s wardrobe. 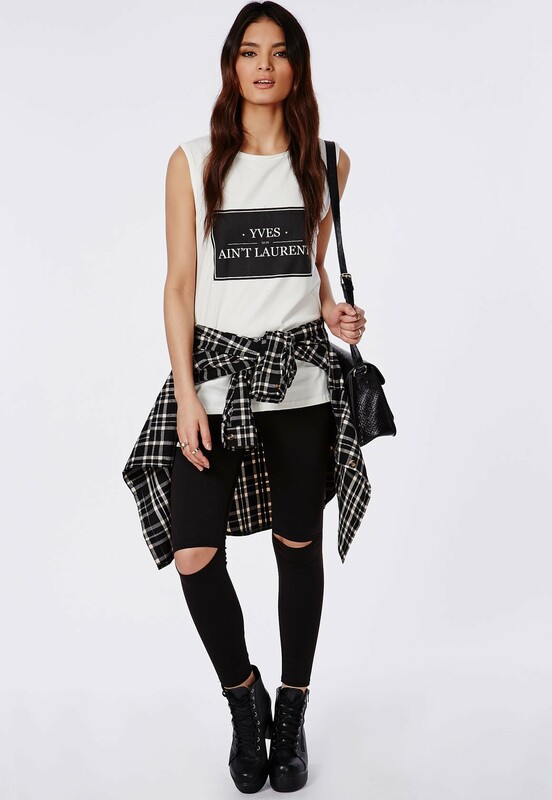 You needn’t wear those very tight leather jeans/jeggings when you can buy faux-leather or leather “leggings”. Not only comfortable for winters but also very chic. 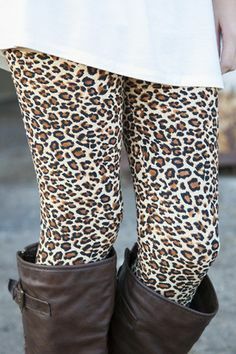 These leggings also come with fur in the inside region to provide you more warmth and protection for the cold weather. Jeans plus leggings makes jeggings. These jeggings look a lot like jeans but are jeggings. You have more variety in them such as high waist jeggings, low waist jeggings, ankel length jeggings and so on. Much like jeggings, the treggings are designed to look like trousers but are leggings. More like, trousers plus leggings makes treggings. They are much proffered by the young women and working women who don’t like leggings as the fabric is thicker and look like trousers. 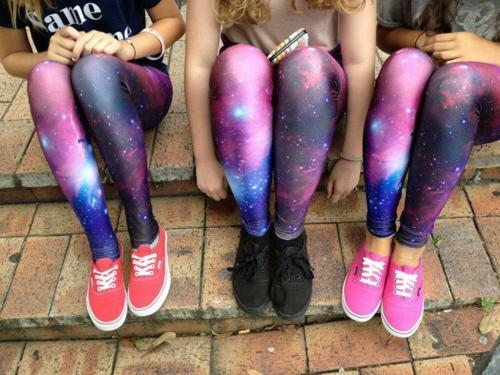 These leggings come in different variety i.e. from monochrome prints to floral prints. Few prints are strips, floral, tribal, galaxy prints, animal prints like leopard print, tiger print, Cheetah prints and so on. The list is never ending. We’ll discuss these different prints in the next section. 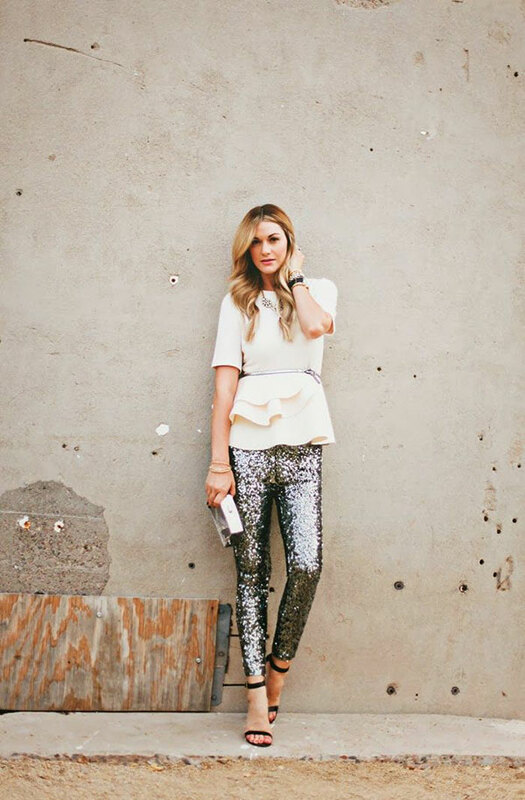 These leggings are the best for party wear or any other event. You can look absolutely fabulous while not revealing too much skin and flaunting your curves too. Different types of prints to wear are listed below. You can wear leggings of these prints. If you liked the a rticle, do share with your friends and subscribe to our website to get such articles about fashion and beauty updates. Thank You!